They arrive in all seasons and from every corner of the earth: the chronically ill, the suddenly stricken, the worried well. They come seeking answers, guidance, and healing at this medical oasis in the Minnesota cornfields. Monica Robles, a copy center supervisor from Arrada, Colo., was referred to Mayo Clinic to be treated by a top specialist in her rare heart condition. Vicky Wright, who organizes marriage workshops in Austin, Texas, flew in for a complicated biopsy. Kuwaiti aviation official Abdullah Al Obaid is spending four or five months in this small city south of Minneapolis so Mayo neurologists can adjust and monitor his multiple sclerosis treatments. Context: For more than a century, people from all walks of life have found answers at Mayo Clinic. A Stand Up to Cancer (SU2C) Melanoma Dream Team, led by TGen President Dr. Jeffrey Trent of Phoenix, is launching a set of nationwide clinical trials on a form of melanoma skin cancer that affects about half of all people who get the disease. Mayo Clinic in Arizona is the only clinical trial location in our state. Dr. Trent and Dr. Alex Sekulic of Mayo Clinic will discuss the melanoma clinical trials. The first patient to receive proton beam radiation therapy allowed KTTC to sit in on her session at Mayo Clinic Thursday morning. Thursday was Jessie Brentholt's fourth proton beam treatment of her six week process. Her mother tells News Center's Kimberly Davis she will come to the Jacobson building every day to receive treatment until August 3. 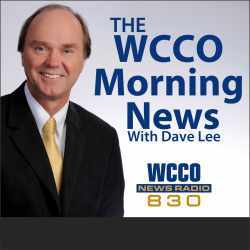 MAYO CLINIC SQUARE-The WCCO Morning News with Dave Lee. Reach: WCCO radio, a CBS owned and operated affiliate in Minneapolis, boasts one of the largest coverage areas in the country as it reaches into portions of North and South Dakota during the day. At night, the station’s signal typically reaches across many U.S. states and Canadian provinces. Context: Dignitaries from the worlds of medicine, sports, business and politics hit the court June 17 to dedicate Mayo Clinic Square in downtown Minneapolis. The event was the first in a series of grand-opening events marking the strategic collaboration of Mayo Clinic, the Minnesota Timberwolves and Minnesota Lynx. "At Mayo Clinic we pride ourselves in teamwork," said John Noseworthy, M.D., president and CEO of Mayo Clinic. "We are proud to be part of the team that made this day possible." More information about Mayo Clinic Square can be found on Mayo Clinic News Network. La Crosse Tribune, Area lawmakers, health providers laud court's Obamacare nod by Mike Tighe…Providers welcomed the decision, with a statement from Mayo Clinic Health System-Franciscan Healthcare in La Crosse saying, “The federal premium subsidies will continue to reduce the cost of insurance for the millions of Americans who receive them and continue to improve access to health care. Jacksonville Business Journal, Viewpoint: Strokes are rising among younger adults by Dr. Gianrico Farrugia, CEO of Mayo Clinic in Florida, Every 40 seconds, someone in the United States suffers a stroke. A stroke can happen to anyone, regardless of age or family history. In the United States, nearly 800,000 people suffer a stroke annually. According to the Centers for Disease Control and Prevention, stroke is the leading cause of disability and the fifth leading cause of death for Americans. Reuters, ‘Epi’ injection may still be good after a freeze, Dr. Venkatesh Ballamkonda, a director in the emergency medicine department at Mayo Clinic in Rochester, Minnesota, called the experiment intriguing. “Many times medical literature doesn’t have easy applicability to real life and here’s one that goes from the basic science arena to real world applicability very easily all the way down to the child going to school with a peanut allergy,” Bellamkonda told Reuters Health. “If it were your son or my son or daughter, I’d want to know the epinephrine is still good to use if it sits outside,” he said. Fox News, 6 crucial questions to ask before filing a prescription, “Do you have any questions?” You’ll hear it from your doctor, the nurse and likely the pharmacist when you get a new prescription. Maybe you don’t have any questions, or maybe they won’t ask; maybe you trust drug makers and your doctor to account for any and all potential concerns before you’re given that bottle with your name on it. But asking the right questions is a necessary backstop, protecting you against potentially dangerous side effects, drug interactions and surprise medical costs. Nearly 70 percent of Americans take at least one prescription drug in a typical year, according to researchers with the Mayo Clinic. USA Today (St. Cloud Times), Minn. doctors wary as medical pot dispensaries open, Every 30 seconds, there's a storm in 17-year-old Madeline Garden's brain, as her eyes flutter and her head jerks back. That's how her family describes the seizure disorder she's lived with for most of her life...People have also been looking to a small number of health systems in Minnesota that are researching with medical cannabis, like the Mayo Clinic, despite the inconsistencies between state and federal law. MPR, Medical marijuana for kids: A Mayo doctor explains why, Dr. Katherine Nickels, a pediatric neurologist at Mayo Clinic who specializes in treating children with epilepsy, said almost all of her patients or their families have already asked her about medical marijuana. "I always want to be sure they understand that this is a product with very little research. It's ongoing right now, but the efficacy is not proven," Nickels said. "The majority of information we have is honestly hearsay and some case reports. "Nickels said she's recommending that patients who haven't yet tried standard treatments give those a shot first. But she said many of her patients are children who haven't responded to standard treatments epilepsy. She's already certified eight patients to receive the medication. MPR, Kids, extreme sports and risk. What's the right balance? Extreme sports for kids are on the rise, with the continuing popularity and more technical tricks and stunts on skateboards and mountain bikes. But some people worry that kids aren't mentally and physically prepared for this kind of risky play. MPR News host Kerri Miller examines the benefits and of extreme sports for kids. Guests: Mark Mannenbach: Division head of pediatric emergency medicine in the Department of Emergency Medicine at Mayo Clinic Rochester. NY Times, A Promising Medicare Plan, if Only Health Organizations Would Stick Around, Two recent studies of Medicare’s new way to pay for health care show that it’s reducing spending and improving quality. The problem is, health care organizations don’t always stick with the program. Both studies examined Medicare’s 32 Pioneer Accountable Care Organizations … Even if the overall savings are modest and assessed only in the first year or two of the program, the studies’ findings are good news for Medicare. Inspired by some of the nation’s most revered health care organizations — like Kaiser Permanente and the Mayo Clinic — Medicare’s A.C.O. program is its flagship reform initiative. OncLive, Introduction: Monoclonal Antibodies in Multiple Myeloma, Panelists: Rafael Fonseca, MD, Mayo Clinic; Morie A. Gertz, MD, Mayo Clinic; Heather J. Landau, MD, MSK; Sagar Lonial, MD, Emory University; Noopur Suresh Raje, MD, Mass General; Jatin J. Shah, MD, MD Anderson. Arizona Republic, There's something to it when golfers have the 'Yips' by Charles Adler, M.D., Ph.D., is a professor of Neurology at Mayo Clinic Arizona, Question: What are the Yips? A: The Yips is a disorder in which golfers complain of an involuntary movement, a twitch, a jerk, a flinch at the time they putt or even when they chip. This interferes with their ability to perform that activity. Post-Bulletin, One year later, girl with kidney transplant doing well by Elizabeth Hurley, One year later, girl with kidney transplant doing well, Shrieks of laughter and peals of giggles could be heard in the Mayo Clinic Gonda Building on Tuesday as 2-year-old Addie Sylvester and her twin brother Dustin ran around the 19th floor lobby. Amber and Mike Sylvester, their parents, chuckled softly as they watched their children play. "It's a whole different world today," Mike said. A year ago on Tuesday Addie received a kidney transplant after being diagnosed with ureteropelvic junction obstruction. Both of her kidneys were completely obstructed at the point where urine goes down to the bladder, allowing her kidneys to fill with urine. Yet it wasn't until after birth that Addie was diagnosed. KEYC Mankato, Mankato Reaches Top 10 in National Poll for Affordable Health Care, It's all about options when it comes to health care. "And providing care that's of good value for the members of our community. Good value means that we have lower cost but higher quality and providing it in a way we want it provided," says, Julie S. Gerndt , Chief Medical Officer with the Mankato Clinic. Post-Bulletin, First bionic leg brace fitted in Minnesota by Rachel Cohrs, Germán Bermúdez's steps Thursday in his new bionic leg brace were small at first, but marked a giant leap for the orthotics industry in Minnesota.…After feeling the onset of post-polio syndrome in 2008, he sought treatment at Mayo Clinic and was referred to Prosthetic Laboratories. On the second day of his training and fitting with the bionic brace, Bermúdez's walking was already significantly improved. Los Angeles Times, Berkeley's warning about cellphone radiation may go too far by David Lazarus, It's a question that just won't go away: Do cellphones give you cancer? The city of Berkeley has passed an ordinance that, beginning next month, would make it the first municipality in the country to require that cellphone retailers warn customers that mobile devices may emit cancer-causing radiation…As the Mayo Clinic puts it: "For now, no one knows if cellphones are capable of causing cancer. Although long-term studies are ongoing, to date there's no convincing evidence that cellphone use increases the risk of cancer." Post-Bulletin, STEM summit brings Mayo diversity chief to Washington by Paul Scott, It takes a diverse group to tackle the challenge of building diversity into the STEM workforce. Dr. Sharonne Hayes, professor of cardiology and medical director of diversity and inclusion at Mayo Clinic, says the 60 invited leaders of industry and academia with whom she shared the last two days at a White House policy conference included leaders from an array of constituencies. WPTZ, Mayo Clinic News Network: 5k run: 7-week training schedule for beginners, Doing a 5K run can add a new level of challenge and interest to your exercise program. A 5K run is 3.1 miles. Don't be daunted by the distance. A 5K run is a great distance for a beginner. You can prepare for a 5K run in just two months. Albuquerque Journal, Mayo Clinic News Network: Most dog-bite injuries are from the family pet, by Jim McVeigh, Prior studies have shown that most dog bite injuries result from family dogs. A new study conducted by Mayo Clinic and Phoenix Children’s Hospital sheds some further light on the nature of these injuries. The recently published study, in the Journal of Pediatric Surgery, demonstrated that more than 50 percent of the dog-bite injuries treated at Phoenix Children’s Hospital came from dogs belonging to an immediate family member. Latinos Health, Parasite immune to water treatment may still be lurking in pools, Medical Daily notes that according to Mayo Clinic, when the parasite enters an individual's body, it will make a hole in the small intestine, causing diarrhea. Asian Age, Four steps to happiness, I came to know of Mayo Clinic in my third year of medical college and from that time on, I’ve always wanted to come and work here,” Dr Amit Sood, Professor of Medicine at Mayo Clinic College of Medicine, says as he begins to talk about the trajectory of his life so far — from Gandhi Medical College in Bhopal to Mayo in Minnesota. He has recently authored The Mayo Clinic Handbook for Happiness: A Four-Step Plan for Resilient Living that teaches a four step, 10-week programme to decrease stress and enhance happiness. Arizona Daily Star, Summer torture — Here's hoping pantyhose is on it's last legs, It sounds like something out of The Onion, but this one’s no joke. According to the Minneapolis Star Tribune, the Mayo Clinic just this month relaxed its edict that female employees have to wear nylons at work. Apparently that rule was also enforced at the Mayo up in Phoenix, where summertime temps have occasionally softened runways to the point that airplanes have been forbidden to land. Fairmont Sentinel, Mayo putting $4.5M into ER, A $4.5 million expansion and renovation project is on tap for the emergency services department at Mayo Clinic Health System in Fairmont. Post-Bulletin, Mayo Clinic expanding in Kasson, Residents and patients got a glimpse of what the city's Mayo Clinic location will look like at an event on Wednesday afternoon. The Mayo Family Clinic Kasson hosted an informational construction kick-off event at 411 W. Main St.
Post-Bulletin, Mayo Clinic to expand in Kasson by Hannah Yang, Residents and patients got a glimpse of what the city's Mayo Clinic location will look like at an event on Wednesday afternoon…During the renovations, the clinic will remain open. The Kasson clinic also serves as the home to the Mayo Family Medicine Residency Program and offers primary and specialized health care services, said Anne Kramlinger, the clinic's medical director. Star Tribune, A rousing skyway welcome for Karl-Anthony Towns, Tyus Jones, Wolves first-round draft picks Karl-Anthony Towns and Tyus Jones greeted fans on the skyway on their way to Mayo Clinic Square, Friday, June 26, 2015. Republican Eagle, Business notebook: Mayo recognized for Yellow Ribbon work, Mayo Clinic was named a Yellow Ribbon Company this month, the first health organization in Minnesota to receive the recognition, the company announced. “To be named a Yellow Ribbon Company is a distinct honor,” said John Noseworthy, M.D., president and CEO of Mayo Clinic. HealthcareDive, Dove Healthcare to run several Mayo nursing homes and assisted living facilities by Heather Caspi, Dove Healthcare will take over operation of some of Mayo Clinic Health System's nursing homes and assisted living facilities, the organizations announced Wednesday. The change will apply to Mayo's nursing homes located in Bloomer, Osseo and Barron, and to their assisted living facilities located in Osseo and Barron. Dove intends to build new several facilities, freeing up some of Mayo's buildings for other uses. Post-Bulletin, What will medical dispensaries look like?, When Rochester's medical marijuana dispensary opens in mid-July, patients can expect it to look like a doctor's office with a receptionist, magazine-filled waiting room and a kids play area … Kingsley said he was invited to meet with Mayo Clinic to talk about the company's efforts. Clinic staff also wanted to make sure the company's packaging allowed for the cannabis to be dispensed in a hospital setting. Mayo Clinic has said it will allow its health care providers to decide whether to participate in the state's medical cannabis program. Kingsley said Minnesota Medical Solutions is open to working with Mayo Clinic on research in the future. Becker’s GI & Endoscopy, 7 things for gastroenterologists to know for today…Dr. Douglas Faigel named ASGE president, The American Society for Gastrointestinal Endoscopy appointed Douglas O. Faigel, MD, FASGE, as its president. Dr. Faigel is a professor of medicine at the Mayo Clinic in Scottsdale, Ariz. He also serves as the chair of the division of gastroenterology and hepatology and director of therapeutic endoscopy. Additionally, he is the program director of the advanced endoscopy fellowship. Twin Cities Business, Minnesota Is Best State For Business, Says CNBC…The state received high marks on quality of life for the state’s low crime rate. Clean air, the presence of the Mayo Clinic and a growing number of bike-friendly cities also contributed. eWeek, Google Testing a Health-Tracking Band for Drug Trial Patients, Google is experimenting with an innovative health-tracking band that doctors could use to help monitor patients in clinical and drug trials, even when they are away from the hospital … In June 2014, Apple unveiled its HealthKit platform, which allows developers to build apps that can collect information from various sources—such as a user's Fitbit account, a Nike running app and a blood pressure reader—and present it together as a single, more complete health profile, according to an eWEEK report. HealthKit can also communicate with third-party apps, such as the Mayo Clinic app. CNN HLN, Promo for “I’ll Be Me”, I'm Ron Petersen, director of the Mayo Clinic Alzheimer's research center in Rochester, Minnesota. I'd like to thank the Campbell family for their courage in sharing their journey through Alzheimer's disease with us in this inspiring movie. It's an exciting time to be involved in research and care for persons with Alzheimer's disease. Deadline Hollywood, ‘Glen Campbell…I’ll Be Me’ Sets CNN Films Ratings Record, CNN’s Glen Campbell…I’ll Be Me took over as the most-watched CNN Films broadcast in the franchise’s history, clocking 2.76 million viewers in its Sunday 9 PM ET premiere. The docu, about Campbell’s life, music legacy and battle with Alzheimer’s disease, trounced its cable news competitors in overall audience and also finished first in the news demo, viewers 25-54, with 510,000 viewers. Jacksonville Business Journal, Mayo transplant center is a breath of fresh air by Colleen Jones, Mayo's lung center to breathe new life into transplant process A groundbreaking facility that Mayo Clinic will launch at its Jacksonville campus by 2017 is aimed at increasing the number of lungs that can be safely transplanted to waiting recipients. It will be the first of its kind in the U.S. Mayo will partner with United Therapeutics Corp., a biotech company in Washington, D.C, to build a lung restoration center that will boost the percentage of lungs that can be restored to healthy status and implanted in patients who need them. KARE11, Legacy of young Minn. man lives on by Janel Klein, When people remember Matt Heisler, they remember how much he gave… Last March, it did just that, when Tom Meeks got a call from the Mayo Clinic saying he could finally have the transplant he'd waited for. "The phone rang and I thought, 'Who is that?'" Meeks said. Matt, who was then a student at the University of North Dakota, had died after being in a house fire, his organs going to nearly 60 people. His heart went to Tom. WILX, More Questions About Minnesota's Breast Density Law, In the case of the Mayo Clinic, patients will get a letter where in the third paragraph it tells you about your breast density. But what many people are asking is, what does this really mean? It's meant to let them know a mammogram may not always pinpoint cancer. Dr. Sarah Crane, Mayo Clinic says, "Particularly if you have breast dense it can miss things, so if you have a lump, you notice a change, come find us." Modern Healthcare, Taking a load off nurses: Hospitals eye installing patient lifts but face technical, cost challenges by Adam Rubenfire…One way to reduce the cost of retrofits is for hospitals to determine how many rooms need lifts. Then they should identify patient-handling needs for each patient during the admission process, and place patients needing lifts in rooms that have one, said Dr. William Buchta, an occupational medicine physician at the Mayo Clinic's St. Mary's Hospital in Rochester, Minn., and chairman of the safe patient- handling committee for the system's Minnesota facilities. WEAU Eau Claire, Camp Wabi interview with Dr. John Plewa, M.D. Mayo Clinic Health System and Danielle Jacobs, mother of a Wabi Camper. Huffington Post Canada, Avril Lavigne Talks About How Hard It Was To Get A Lyme Disease Diagnosis by Rebecca Zamon, Avril Lavigne kept her battle with Lyme disease a secret from fans for many months — though that may have been because she herself didn't know what was wrong. In an interview with "Good Morning America" on Monday…the Canadian singer talked about how hard it was get a proper diagnosis for the inflammatory illness, which left her bedridden for five months…According to the Mayo Clinic, it can be difficult to diagnose Lyme disease, due to its similarity to other illnesses. It is caused by tick bites, and when untreated, can last from months to years. Tech Times, Too Much Citrus Can Cause Melanoma But You Should Not Worry: Here's Why…Health Benefits of Juicing Despite this new finding, health experts still urge people to consume a healthy amount of fruits every day even through juicing. Mayo Clinic nutritionist Katherine Zeratsky said that juices labeled as "100 percent" can be healthy option as they are made from the pure extract of natural fruits and vegetables. These beverages have no additives and no preservatives, and their vitamin and mineral content are higher compared to sweetened juices or juice cocktails. Chippewa Herald, Plan proposes land swap for place to sick kids to fish…Christenson said one of his sons had a medical problem that was quite serious and required hospitalization at the Mayo Clinic in Rochester, Minnesota. He said that experience got him to thinking of seriously ill children who could go to a place where no fishing license would be required, and where they could be guaranteed of success catching a fish. Star Tribune, Minnesota devicemakers paid out $211 million to doctors, hospitals in 2014, Minnesota doctors received their largest payments in the form of royalties from out-of-state companies. Many of the highest-paid doctors in the state were orthopedic and neurological physicians who were paid by companies whose devices they can prescribe for patients. The Minnesota doctor with the highest non-research payments was Dr. Daniel J. Berry, an orthopedic surgeon whose $1.2 million in royalties from orthopedics-device maker DePuy Synthes were paid to his employer, the Mayo Clinic in Rochester. Decorah Newspapers, Dr. Mary Lally joins Winneshiek Medical Center, Dr. Mary Lally, B.M.B.Ch., has joined Winneshiek Medical Center. Lally previously worked as a resident physician in Rochester, Minn., at Mayo Clinic. She is excited to bring her expertise to Iowa, to have the opportunity to practice in a rural community and to be close to family. Fortune, Celgene bet $1 billion that this biotech's science can cure deadly cancers by Laura Lorenzetti, It’s all about the science. Celgene is making a billion dollar bet on game-changing science.… CAR-Ts improve on existing immunotherapies by removing disease-fighting T cells from the blood and re-engineering them to target cancer cells with near laser-like focus. This overcomes two clinical problems when it comes to fighting cancer, said Stephen Ansell, a doctor at the Mayo Clinic specializing in cancer and blood disorders. Chicago Tribune, Motorcycle accident victim gets new ankle implant and says goodbye to decades of pain and limited mobility, Gregg Rappe was on his way to high school football practice back in 1973 when a car ran a stop sign and broadsided the motorcycle he was riding. He suffered multiple injuries, the most severe one being his left ankle, which was virtually shattered. His doctors at The Mayo Clinic did the best they could to put him back together, but the traumatic ankle injury was a constant reminder of the accident. KTTC, Blooming Prairie defies staffing odds for health care clinic, amidst Franken's report by Alanna Martella, Senator Al Franken released a new report on Tuesday, showing the challenges that Minnesota's rural health care providers face. Some of these challenges can hinder their efforts to deliver high-quality and timely care to patients…Blooming Prairie's branch of Mayo Clinic actually stems from that of Austin and Owatonna's branches. It closed for nearly a year, until Blooming Prairie Mayor H. Peterson and other community members pushed to bring it back, recognizing the importance of having a satellite clinic to serve the needs of the rural community. Robb Report, Face Time, by Erin O’Donnell, 1) Whole Face, A face-lift, or rhytidectomy, addresses sagging in the middle of the face, under the eyes, in the nasolabial folds that connect the corners of the nose to the mouth, and around the jawline…After the incisions heal, scars are rarely visible, says Steven Jacobson, MD, plastic surgeon and assistant professor of plastic surgery at Mayo Clinic. He adds that surgeons have changed the way they approach face-lifts, with greater focus on shoring up the structures under the skin, compensating for the loss of subcutaneous fat and muscle and any bone wasting. Republican Eagle, Pediatricians lead way to active summer, Pediatricians at Mayo Clinic Health System in Red Wing are stepping out of the exam room and hitting the walking path this summer to motivate children to get active. The doctors will be in Bay Point Park at 5:15 p.m. Mondays through July 27 to lead family walks and demonstrate the importance of regular exercise. "We plan to walk a few laps and have a conversation about healthy habits - and have some fun," Dr. Peggy Decker said. The program is for children "of all shapes and sizes," the Red Wing pediatrician said, as well as family members, friends and the local community. KEYC-TV Mankato, MCHS Purchases Land Near N. Mankato, Mayo Clinic Health System has made a purchase of land near North Mankato, Mayo Clinic Health System has made a purchase of land near North Mankato. The city of North Mankato says the Mayo Clinic Health System purchased 18.5 acres of land just outside city limits, adjacent to the new Highway 14, and MCHS requested that be annexed into city limits. MCHS first began talking with the city about possibly developing some area around a year ago. NEWS 4 JAX, Researchers find sugary drinks linked to thousands of deaths, Dr. Vendana Bhide is with the Mayo clinic and joined the Morning Show to talk about the study, which was published in the journal Circulation and detailed in Forbes. "The countries where people had the most sugary beverages had the highest rates of diabetes, vascular disease, and deaths from those illnesses. We know that with previous studies that diabetes is caused by sugar and vascular disease is worsen by sugar. So the thought is that the countries with people drinking the most sugar beverages have high rates of diabetes and deaths from diabetes and cardiovascular disease". People, Jill Zarin: 'I'm Scared to Death over My Husband's Cancer Battle', Working the phones and researching the best treatments available led them to David Pfister, a top oncologist at Memorial Sloan Kettering in New York, Dr. Keith Bible, a top oncologist at the Mayo Clinic in Minnesota and then to Dr. Richard Lazzaro at New York's Lenox Hill Hospital, a leader in the field of robotic thoracic surgery. Science Newsline, Mayo Clinic Study Suggests Which Glioblastoma Patients May Benefit from Drug Treatment, Researchers at Mayo Clinic, who conducted one of those clinical trials, believe they know why dasatinib failed -- and what to do about it. In the online issue of Molecular Oncology, investigators report finding that dasatinib inhibits proteins that promote cancer growth as expected but also suppresses proteins that protect against cancer. The findings suggest that pretesting patient glioblastoma biopsies will help identify who may respond well to dasatinib and who should avoid using the drug, says the study's senior author, Panos Z. Anastasiadis, Ph.D., chair of the Department of Cancer Biology at Mayo Clinic in Florida. Medical Daily, Drinking Too Much Water Can Be Deadly: New Guidelines On Healthy Water Consumption Warns Against The Wrong Amount, Water is a key chemical of the body, which is why it needs to remain within a healthy range in order to balance the body. The human body loses water every day through breathing, sweating, urinating, and having a bowel movement, according to the Mayo Clinic. In order to replenish the body with enough water without overwhelming the cells, the Institute of Medicine determined the ideal amount is approximately 16 8-ounce cups (3.7 liters) for men and 11 8-ounce cups (2.7 liters) for women. MedPage Today, Early Relapse Ominous in Follicular Lymphoma, the findings clearly identify a high-risk patient subset defined by factors that go beyond standard risk-assessment criteria, said Stephen Ansell, MD, PhD, of the Mayo Clinic in Rochester, Minn."This group is not simply defined by clinical factors, such as those included in the high-risk category of the FLIPI or in the GELF criteria for high tumor burden," Ansell told MedPage Today in an email. "While patients in the group that progress early are older, have a poorer performance status, and more advanced disease, the prognostic importance of early progression of disease remained significant when adjusted for the FLIPI." PR Web, Lymphoma Research Foundation Welcomes New Scientific Advisory Board Members, In addition to the new Scientific Advisory Board members, LRF also welcomed the election of Thomas Habermann, MD (Mayo Clinic, Rochester) – as its next Chair Elect. Dr. Habermann is Professor of Medicine at Mayo Clinic in Rochester, where he is a member of the University of Iowa/Mayo Clinic Lymphoma SPORE grant and was long-time chair of the Mayo Clinic Lymphoma Group. His research interests include clinical trials, clinical epidemiology, SNP analyses, and whole exome studies. Dr. Habermann received his MD from Creighton University before completing his residency and fellowship at Mayo Clinic. Diario Imagen, Vértigo postural paroxístico benigno por Elsa Osorio, La Dra. Neil Shepard, Audiología de Mayo Clinic en Rochester, Minnesota, señala que varios trastornos pueden provocar vértigo, pero el más común es una afección llamada vértigo postural paroxístico benigno, que se presenta ante determinados movimientos; sentarse, voltear la cabeza o recostarse, por ejemplo. Vida y Estilo, Cáncer de ovario: lo que necesitas saber sobre la enfermedad por Dra. Jamie Bakkum-Gamez, del Departamento de Obstetricia y Ginecología de Mayo Clinic, Anua lmente 250,000 mujeres en el mundo son diagnosticadas con cáncer de ovario. En Estados Unidos, 1 de cada 72 mujeres desarrollará cáncer de ovario en su vida. Cerca del 75% de los cánceres de ovario son diagnosticados en una etapa avanzada (etapa III o IV). Puro Futbol, Consecuencias de la deshidratación por Patricia Martínez , Es importante recordar que la sed no siempre es un indicador de la necesidad del cuerpo de obtener agua. Según la Clínica Mayo, la mejor prueba para comprobar la deshidratación es el color de la orina. Orina color claro significa que está bien hidratado, orina de color amarillo, oscuro o ámbar significa deshidratación. Business Colombia, ¿Cómo enfrentar la temporada de influenza?...En Estados Unidos, durante la temporada invernal 2014-2015, la influenza A subtipo H3N2 fue la que predominó. Según el doctor Robert Orenstein, Jefe de la División de Enfermedades Infecciosas de Mayo Clinic en Arizona, las cepas que se presentan en Latinoamérica generalmente son las mismas que surgieron antes en Norteamérica. Por ser la principal causa de ausentismo laboral durante la temporada invernal, el especialista nos aclara algunos puntos acerca de esta enfermedad, como por ejemplo la importancia de la vacunación. Viday Estilo, ¿Qué es la cirrosis biliar primaria y cómo se detecta? Dr.Konstantinos Lazaridis , de Gastroenterología y Hepatología de Mayo Clinic en Rochester, Minnesota, menciona que “la cirrosis biliar primaria es una enfermedad en la que se dañan los conductos biliares del hígado. La bilis es un líquido producido por el hígado que desempeña una función en la digestión de los alimentos y ayuda al cuerpo a deshacerse de glóbulos rojos desgastados, colesterol y toxinas.